Hari Raya is a humble and joyful celebration after a month long of fasting month, which is celebrated by the muslims in Malaysia. As it is one of the major celebration, malls and shopping centres never forget to pack some discount promotions and theme based decoration. 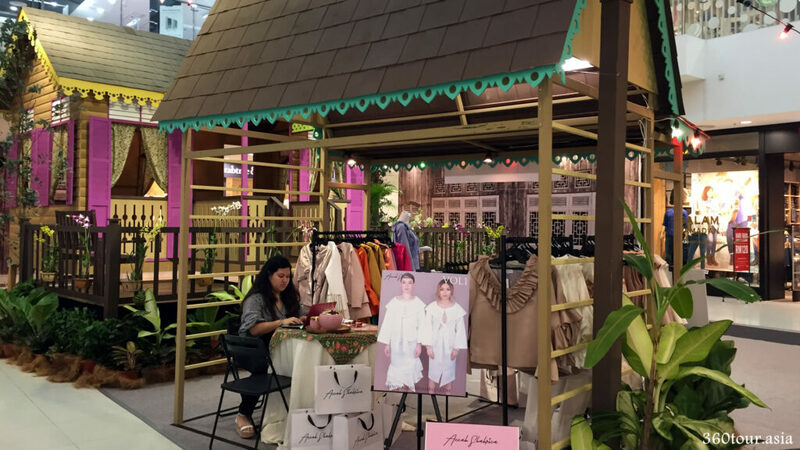 In the spring mall Kuching , there is Ramadan bazaar been set up in the south court, offering various stalls selling raya clothings and ornaments , cakes and biscuits. 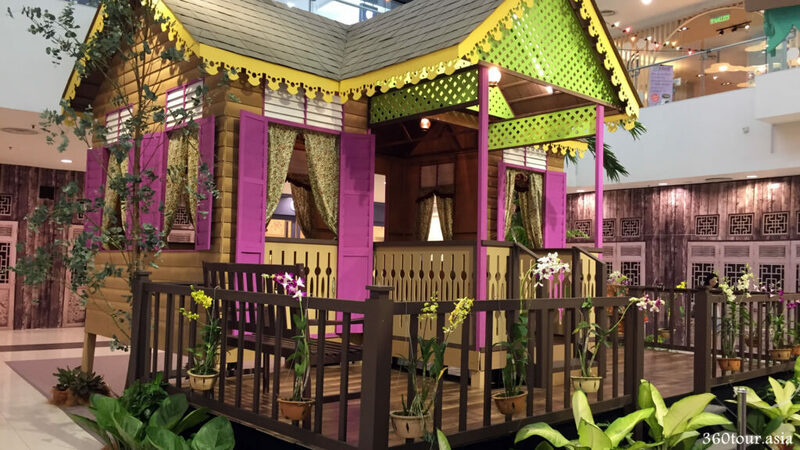 At the far end of the south court, there is a decorative wooden house replica been placed, showcase the simple and unique culture of traditional Malay house unit. 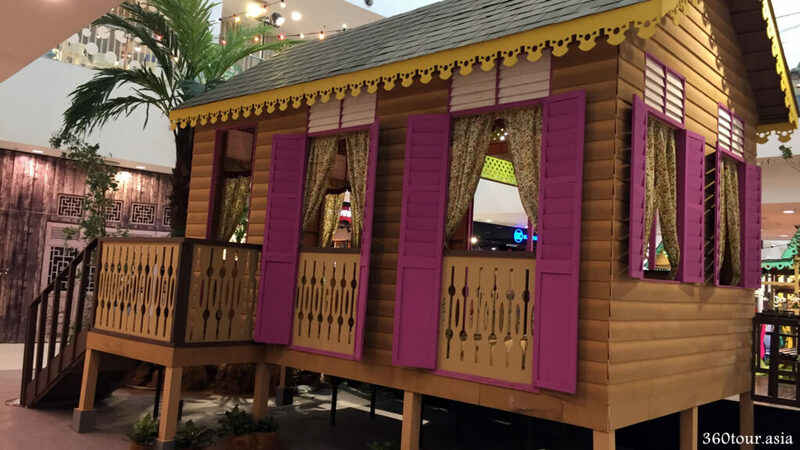 The traditional Malay wooden house unit at the south court of the spring mall. The traditional Malay house is typically build up from wood, it is usually raised pedestal type with unique front balcony and front door stairs. There is wood crafted motives around the edge of the roof and full sized window. Usually such houses are surrounded with potted plants and shrubs. The rationale of such design is to have a cool home environment with good air flow and circulation to combat the hot tropical weather and yet easy to build from timber and wood that can be found locally. Some adopted a not-a-single-metal-nails design. 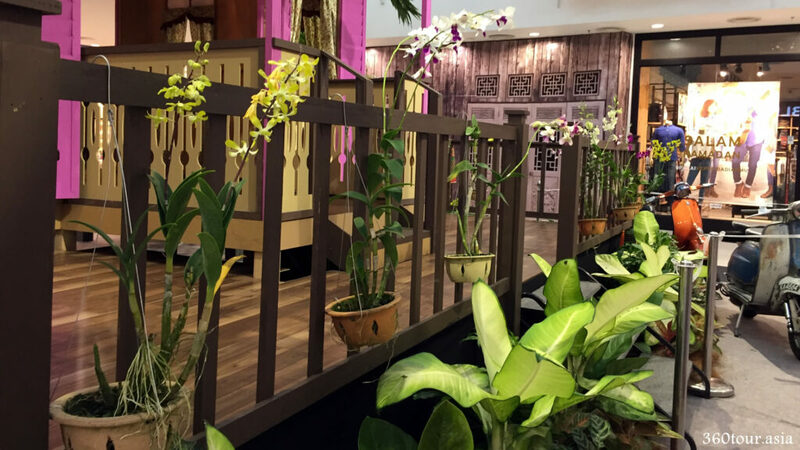 Potted plants and orchids along the balcony of the house. Full sized wooden windows at the back of the house. The front view of the traditional wooden Malay house. The classical motorcycle on display. A view of the traditional Malay house from the second floor of south court. 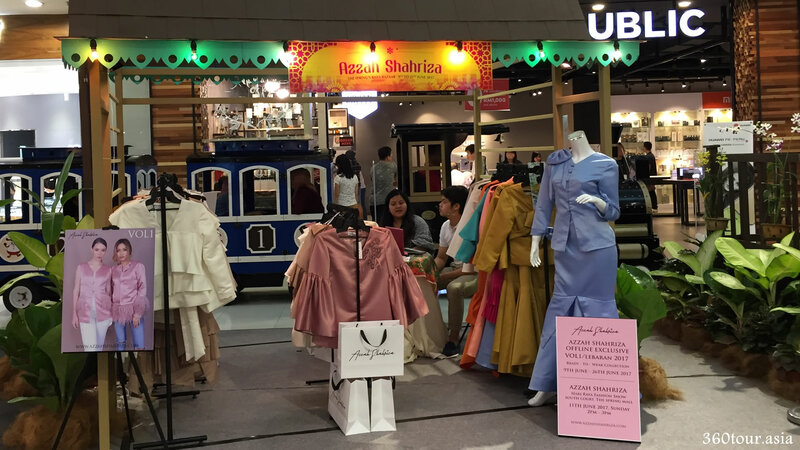 The Ramadan Bazaar opens up opportunities for the visitors to understand further about the Malay culture and its cultural clothing, ornaments and foods. The stalls are decorated with decorative wooden roof and colourful lightings. The surrounding is decorated with potted plants and pines, making it a small garden in the mall. The decorated path divertes at the Ramadan bazaar. Another view of the bazaar. The stalls selling traditional Ramadan food. The Bonique stall selling scarfs. The momo stall selling necklaces, ornaments, hand bags and scarfs. Assah Shahriza stall selling traditional clothing. Another view of the stall.